Power Conditioning - CORE POWER INC. 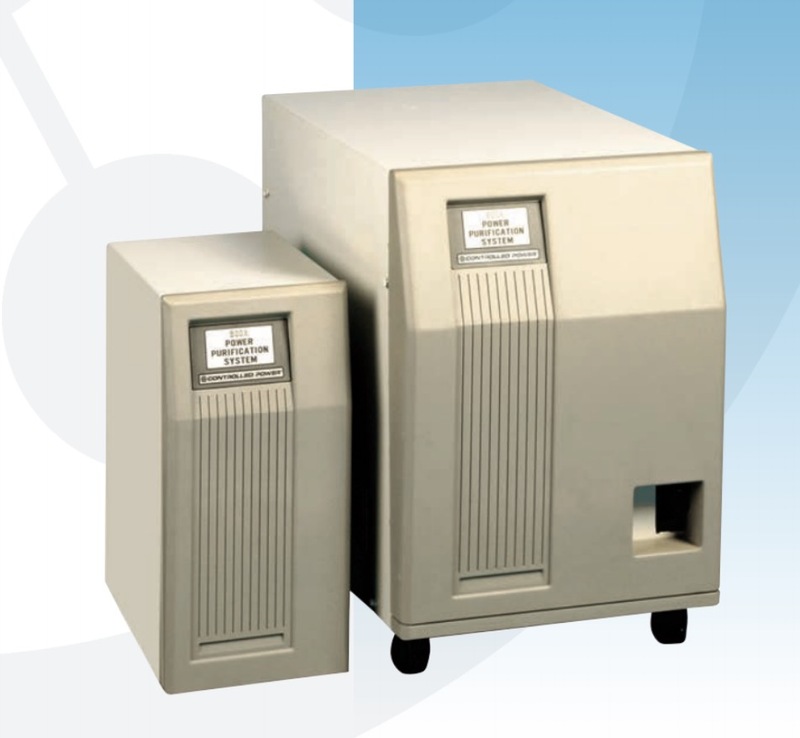 The Commercial Power Purifier (Series 800A) is a self-regulating, constant voltage transformer. It provides isolation and protects against fluctuating voltage, brownouts, line noise and short duration power outages. 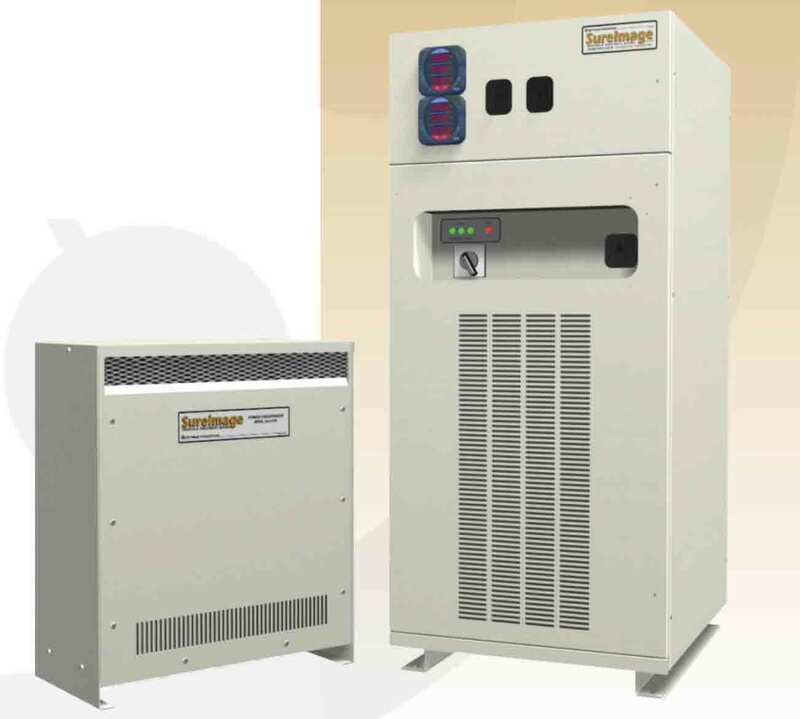 Because of the Commercial Power Purifier’s power conditioning properties, it also attenuates voltage spikes and provides a unique power “ride through” capability. With loss of input power for up to 1 cycle, the output sinewave remains at usable AC voltage levels! The Commercial Power Purifier comes in a NEMA1 enclosure and is ideal for most commercial and medical power quality problems. 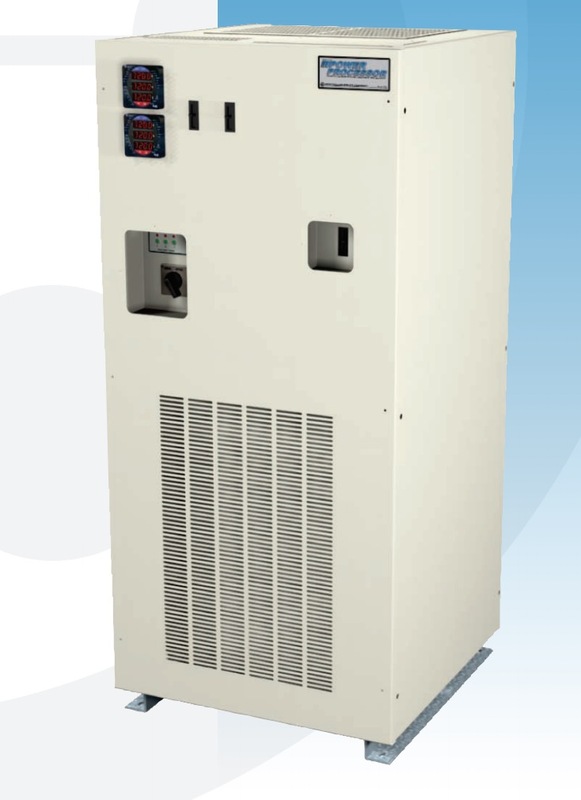 The Industrial Power Purifier (Series 800PI / 800P2 / 800P3) is a self-regulating, constant voltage transformer which provides isolation and protects against fluctuating voltages, brownouts, line noise, and short-duration power outages. The Industrial Power Purifier’s power conditioning properties enable it to attenuate voltage spikes and reduce harmonic input current to less than 9% THD. This product is ideal for any electrical environment, but is especially valuable in industrial applications where high-power equipment can interfere with vulnerable electronic controls. The Industrial Power Purifier delivers isolated, regulated, transient-free, and noise-free sinewave power; thus enhancing the industrial equipment’s reliability. It is available in NEMA1, NEMA2, and NEMA 3R enclosures. The Power Processor is an electronic, microprocessor-controlled tap switching voltage regulator/power conditioner, which consists of an all-copper, multiple-tapped, triple-shielded isolation transformer. In conjunction with the electrostatic shields, the low output impedance of the transformer assures computer-grade performance with excellent noise and transient attenuation. For each of the 7 taps per phase, independently controlled inverse parallel electronic switches provide tight voltage regulation to +/- 2.5%. Digital processing provides fast, accurate regulation to within 1 cycle, without over- or under-shoot. 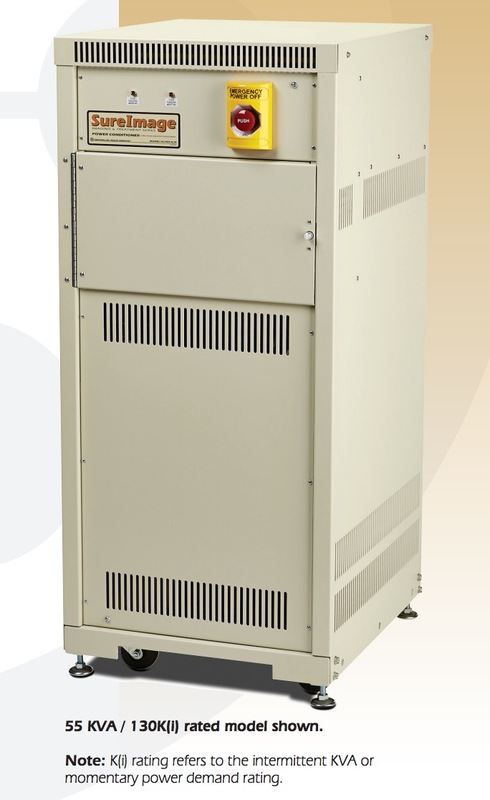 The Series 700F is a front access, tap switching, power conditioning voltage regulator which features a small footprint, high efficiency design, triple-shielded isolation transformer, tight output voltage regulation to +/- 3%, as well as optional power quality monitoring. Digital processing provides fast, accurate regulation within 1 cycle, without over- or under-shoot. With a unique front access cabinet design, left, right, and rear access are not required for system installation, operation or service. The Series 700F has been shake-table tested and meets seismic standards which satisfy the California Office of Statewide Health Planning (OSHPD) requirements, as well as CBC 2013, and IBC 2015 standards! The verification testing required is recognized and accepted by most of the U.S., as well as other countries, and not exclusive to the hospital market. The seismic-rated Series 700F is the perfect power conditioner for industrial and commercial facilities located in earthquake-prone regions! 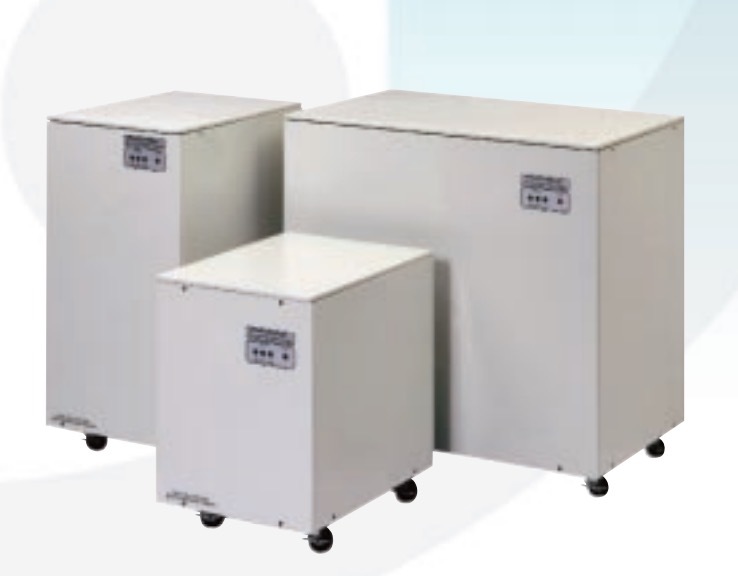 Seismic-rated Series 700F models are available with an input nominal voltage of 208VAC, 240VAC, or 480VAC; and are provided on floor-mounting channels. The Power Commander is a magnetic voltage regulator that provides high precision voltage regulation with high fault clearing capability. With the Power Commander’s tight voltage regulation and load regulation, it makes it the best choice for testing as well as high precision voltage applications. The Power Commander “Plus” is a magnetic voltage regulator that provides high precision voltage regulation and high fault clearing capability with the added benefits of isolation and voltage conversion. With the Power Commander’s tight voltage regulation and load regulation, it is the best choice for testing as well as high precision voltage applications. Designed specifically for “Medical OEM” equipment, the SureImage Model 600/M, PDU provides power conditioning, isolation, and power distribution for imaging and treatment modalities! Our Model 600/M PDU allows OEMs to overcome the challenges of providing power quality to all system components, regardless of voltage requirements and power demand. 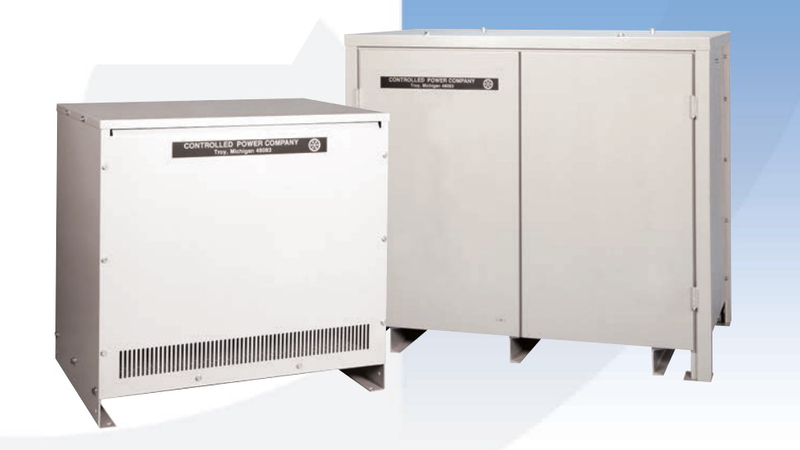 The 600/M, is a single box solution providing voltage conversion, power conditioning, and OEM-specified output distribution … all in a space-saving footprint! Our Model 600/M, PDU includes a single main input circuit breaker, low impedance double-shielded isolation transformer, and surge protection; together with customized controls and distribution options that allow OEM engineers to “build the perfect PDU” for each and every modality! 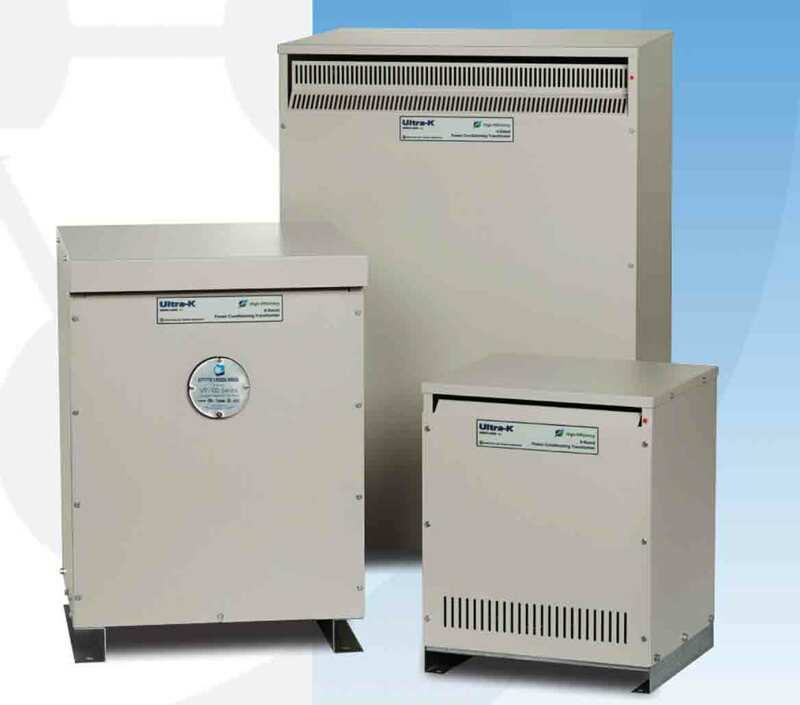 Three Phase Sizes: 55 KVA / 130K(i) rated model shown and described on this webpage. Other output power ratings are available for OEM design. Note: K(i) rating refers to the intermittent KVA or momentary power demand rating. The Power Processor Model 700F/M is a part of the SureImage, Imaging and Treatment Series of medical-grade power conditioners. The Model 700F/M is a power conditioning voltage regulator which provides stable and clean power to CT, MRI, PET, Linear Accelerator, X-Ray and other imaging/treatment equipment, ensuring accurate and clear image scans. The Model 700F/M uses a proprietary power sampling technique to ensure that the proper voltage value is always present at the load and that there are no damaging effects of over or undershoot of voltage. The Model 700F/M is provided in a front access only enclosure to minimize footprint, while increasing serviceability and ease of access. The Model 700F/M has been shake-table tested and meets seismic standards which satisfy the California Office of Statewide Health Planning (OSHPD) requirements, as well as CBC 2013, and IBC 2015 standards! OSHPD monitors the planning and oversight of hospital construction; and mandates that any equipment required to withstand an earthquake and function afterwards, be approved and certified via shake-table testing. This mandates verification testing that most of the country recognizes, as well as other countries. The Model 700F/M’s “OSHPD Seismic Pre-approval” (OSP) certification reduces the time required for an engineer to locate and select the necessary power conditioning and voltage regulating equipment! Seismic-rated Model 700F/M models are available with an input nominal voltage of 208VAC, 240VAC, or 480VAC; and are provided on floor-mounting channels. 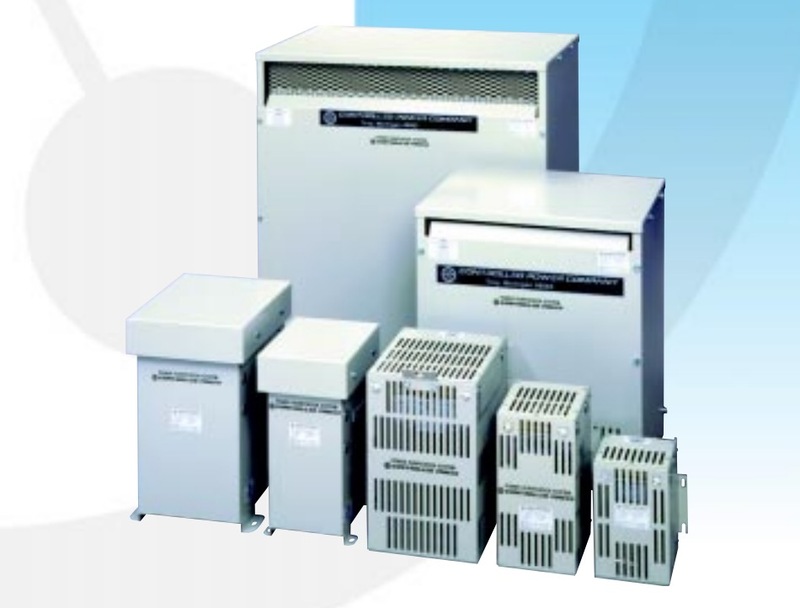 Part of the SureImage, Imaging and Treatment Series, the Power Conditioner Model Ultra-K/M is a medical grade power conditioner/isolation transformer for MRI, CT, PET, Linear Accelerator, and X-Ray equipment. The Ultra-K/M conditions and isolates power, protecting medical imaging and treatment equipment from spikes, harmonics and ground noise, thus ensuring accurate and clear image scans.